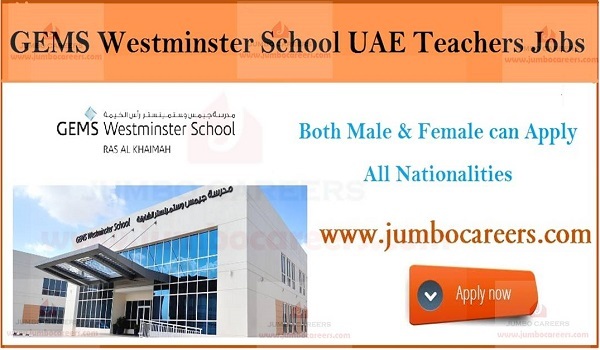 Leading Indian International school in UAE: GEMS Westminster School Ras Al Khaima jobs is conducting latest Walk in Interview for hiring teachers for GEMS Schools UAE 2019. Its a direct and free recruitment by the school. Latest Job vacancies at GEMS Westminster School RAK 2019. How to apply for Gems School UAE jobs and Careers 2019. - Attend Now? Location : GEMS Westminster School, Ras Al Khaimah.